Beat the eggs in a medium sized bowl, Season with oyster and soy sauce. Place vegetable or peanut oil in a hot wok and heat until smoking. Pour in the egg mixture (it should puff up). Cook for 3 minutes, then place crab, spouts, chives and sesame oil in the middle. 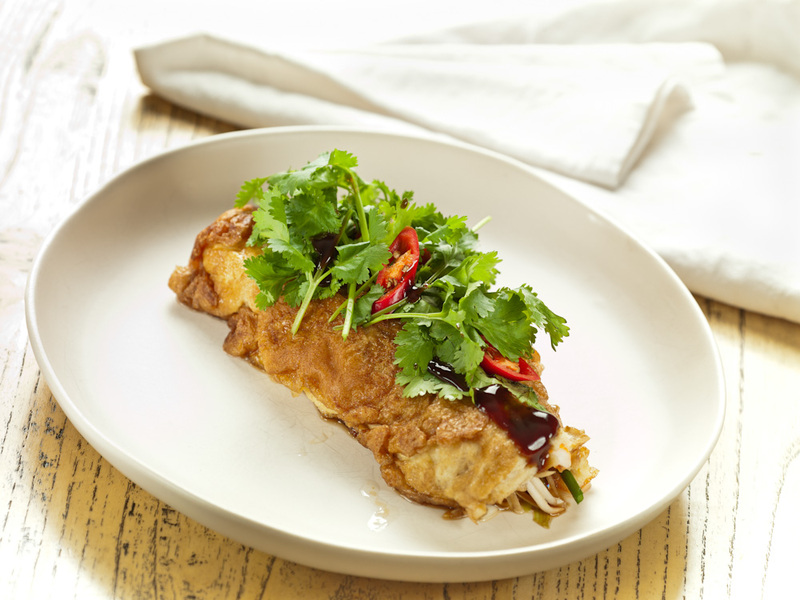 Pour off the excess oil, remove omelette from the wok, place in a bowl and garnish with oyster sauce and coriander leaves. Watch the video of Adam making this omelette below, or on the Farm Pride YouTube channel.